This event is open to the public and is a Free Event! Come wander through a 19th Century home and enjoy the splendor of festive Victorian Christmas decorations throughout the house. View the elegant furnishings of a home built in the 1870s. The Decor and Art on the walls from 1800s and early 1900s are not to be missed. This brick Italianate-style house overlooking Delaware’s East William Street was built in 1878 for Thomas and Mina Slattery. The home is named for William Henry Nash and his wife Emeline who purchased the home in 1885 and remained a Nash family residence for until 1954. At that time, Miss Pauline Nash presented the house to the Delaware County Historical Society. 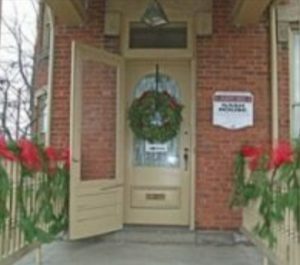 The Nash House is furnished in the Victorian period with donated furnishings which have a direct connection to Delaware County. The period pieces range from an ornately carved desk crafted by OWU Art Professor Dorthea Graham to a 1928 General Electric Refrigerator. Rooms on display include the parlor, music room, dining room, gentleman’s study, children’s room, bedroom, as well as the kitchen. The kitchen was remodeled to match the late 1930s style. The furnishings and reproduction wallpaper make this home a showplace of the elegant Victorian era. 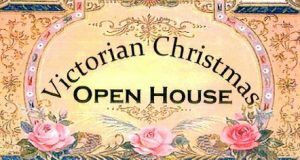 Come and experience the special Victorian Christmas ambiance. Learn about holiday life in Delaware’s earlier times.